Opera Australia's largest and most ambitious production returned to Melbourne in 2016. 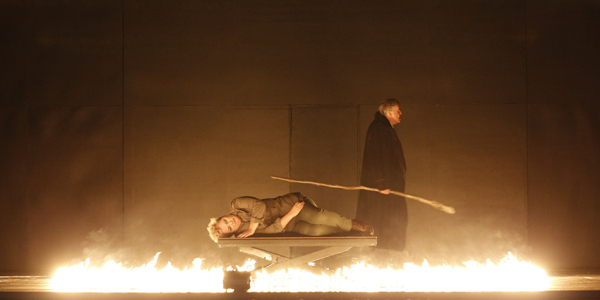 Wagner's Ring Cycle, directed by Neil Armfield and conducted by Pietari Inkinen, was performed three times at Arts Centre Melbourne between 21 November and 16 December 2016. The epic 16-hour story follows the rise and fall of gods and humans, dragons and dwarves, giants and valkyries, set to Wagner’s unforgettable score. "The verdict was pretty much unanimous: this was one of the best Rings anywhere in a long time." Lise Lindstrom sang her first full Ring Cycle as Brünnhilde and some wonderful Australian singers made their role debuts, including Bradley Daley as Siegmund. Stefan Vinke returned with his phenomenal performance as Siegfried and Daniel Sumegi, Jacqueline Dark, and Warwick Fyfe reprised their outstanding interpretations. The Ring Cycle opens with this magnificent prelude. The struggle for power and wealth in Das Rheingold irrevocably alters the order of the universe and determines the course of the entire saga. The second opera in The Ring Cycle holds special appeal for audiences with its dramatic power and remarkable music, including the famous ‘Ride of the Valkyries’. After Das Rheingold’s rarefied realm of gods, monsters, and nature spirits, in Die Walküre Wagner plunges headlong into the highly emotional world of humanity. The Ring Cycle’s third part is intensely focused on the fortunes of a single figure. Siegfried charts the rise of the son of Siegmund and Sieglinde into the greatest hero of the age. 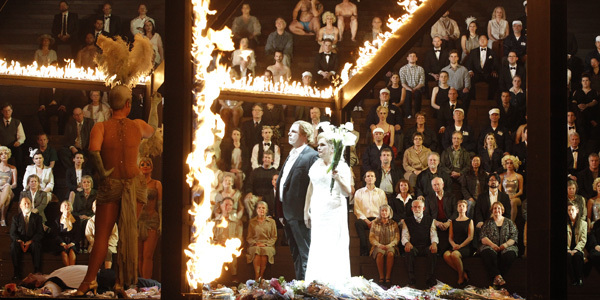 The Ring Cycle reaches its devastating finale in Götterdämmerung’s tale of treachery and destruction. All seems lost after naked ambition betrays love, and villains outsmart heroes. "Ingenious staging and masterful music." "Energy and strength in epic revival." "Armfield, Inkinen and their excellent cast deliver a thoughful and intelligent reading of this complex work." "Nothing can be taken away from the compelling and distinctive characterisation by the strong cast." 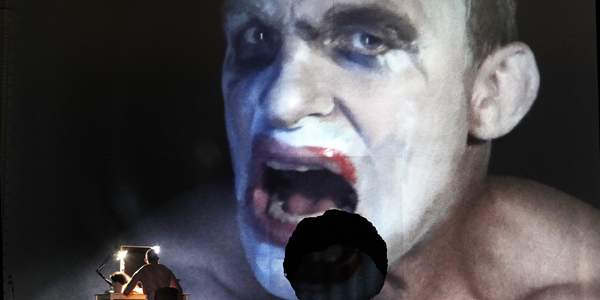 "Not a single performance falters, not a moment is lost to confusion or superfluity." "All of the performers were commendable." "Opera Australia has clearly approached Wagner’s unassailable masterpiece with a focus on innovation, spectacle and sheer quality."